Conceivably one of the more haunting images in modern history, Venezuelan President Nicolas Maduro raises his right index finger to a crowd of supporters in defiance to U.S. sanctions made only a few weeks ago. “I don’t take orders from the empire! Keep up your sanctions, Donald Trump!” Maduro shouted to a cheering and applauding audience. Despite most countries criticizing the recent elections — some even going so far as labeling them as a “sham” — President Maduro praised the results of the activity which introduced a new legislative superbody; an electoral congress which could potentially change the governance of the country. 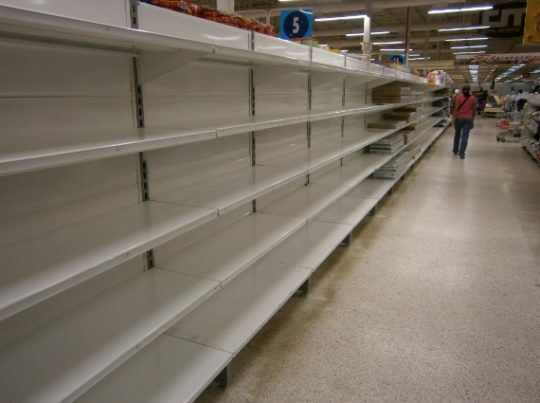 As the world watched with horror, President Maduro vowed to continue his socialist policies, even as thousands of Venezuelans stockpile scarce food and water. Ten people were killed during the latest round of civil unrest during the elections. This brings an approximate death toll to around 120 in only four months of anti-government protests. Countries from Spain to Argentina to the United States have denounced the elections. Spokespeople from the White House have described President Maduro as a dictator after “seizing absolute power” in a obvious display of manipulation. This did not stop the Venezuelan leader who merely scoffed at the apoplectic opposition. While the Trump administration sanctioned 13 senior officials, including the interior minister, President Maduro moved to elect an assembly of supporters to reassert his powers on the oil-rich country. One of the many reasons why this “constituyente” is raising everyone’s hackles is that it controls how long President Maduro could potentially stay in power. It is not unreasonable — given how President Maduro retaliates to any form of antagonism — to assume a ruling government entirely controlled by him and his supporters. In fact, a recent broadcast of the socialist leader showed him rejecting the U.S. sanctions, calling it “illegal” and that the newly-minted legislative body would be the country’s “revenge.” It was during this moment, clad in a red bomber jacket and sporting his famous mustache, that President Maduro raised his right hand in the air. He said that the sanctions made by our government are reflections of President Trump’s “hatred” and “desperation” for Venezuela. These sanctions froze all of President Maduro’s assets within U.S. jurisdiction. It also banned all Americans from conducting any form of business with the leader or any of his supporters. “Recent actions culminating in [the] seizure of absolute power through the sham election of the National Constituent Assembly represent a very serious blow to democracy in our hemisphere,” White House National Security Adviser H.R. McMaster said during a news briefing. The White House is still deliberating how far these sanctions will go. The escalation process would depend on President Maduro, it would appear. However, unconfirmed sources within the White House have claimed that these could include heavy restrictions on oil-related transactions. The future of the country remains to be seen although economists say that the outlook looks bleak. Keep abreast of this disturbing situation on Uprising.news.